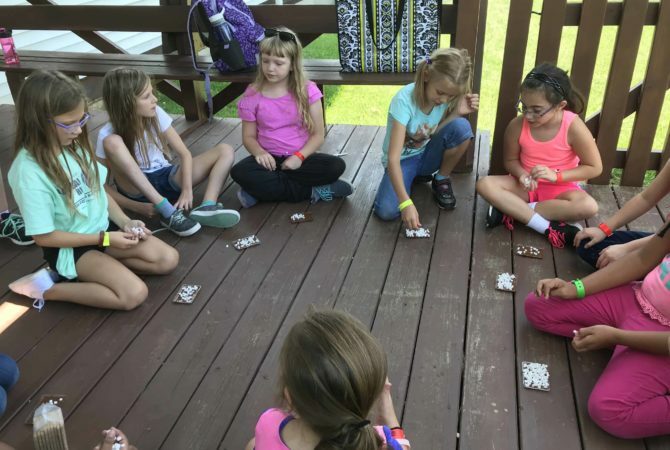 ACTIVITIES play a huge part in the camper’s day, and we want each child to learn new skills, gain a greater appreciation of nature, grow in an existing skill, and have FUN!! 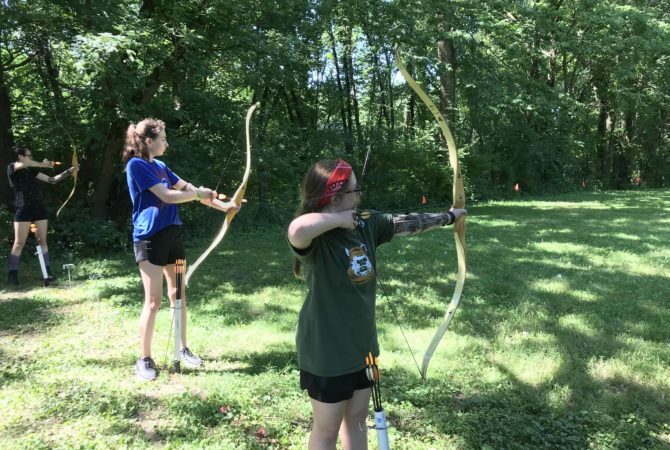 Campers will be able to choose two or three activities that they will continue with throughout the week. They will sign up for these activities with their cabin group. Please know that what you see below is a general list and is subject to change. Each year we try to offer new classes. Note: click on the activity to display more detail. This popular activity helps campers learn how to perform simple first aid procedures and to know what to do in an emergency situation. First aid kits are made. Topics discussed include shock, weather problems, broken bones, bleeding, burns, poisoning, babysitting safety, and rescue breathing. The waterfront activities are designed to help campers feel safe and at ease, as well as mobile, in the waters. There will be a qualified lifeguard on duty at all times at the pool, and ACA safety standards will apply at all times. 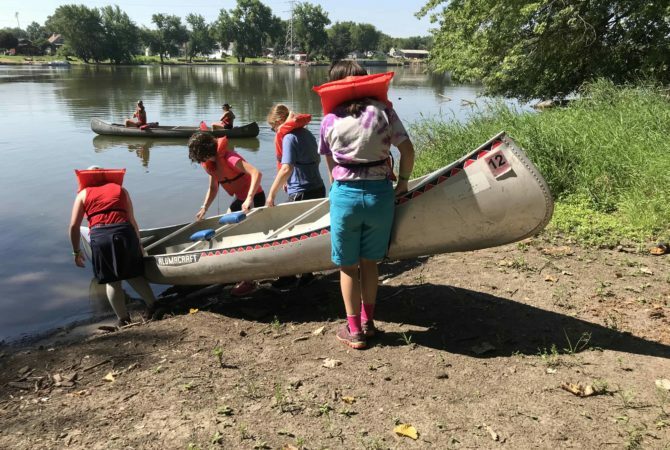 Canoeing is available to those campers who have passed the Red Cross Level 3 swimming. 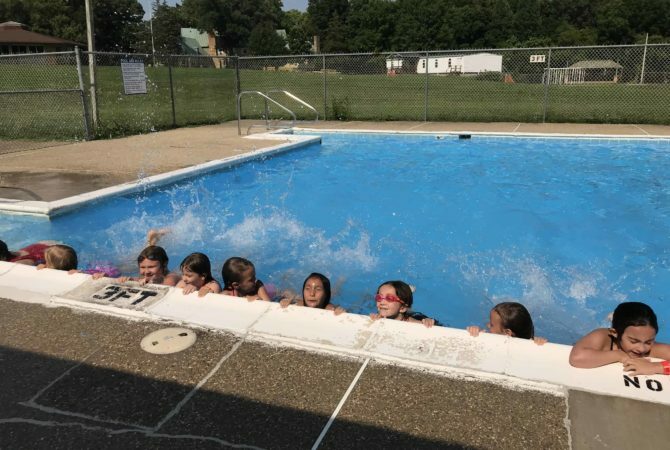 Please note: The American Camp Association’s standards state that all campers are required to take a swim test to determine their level of ability. This can be done after the campers get settled in their cabins. It is our goal to teach the campers an appreciation for God and His creation. 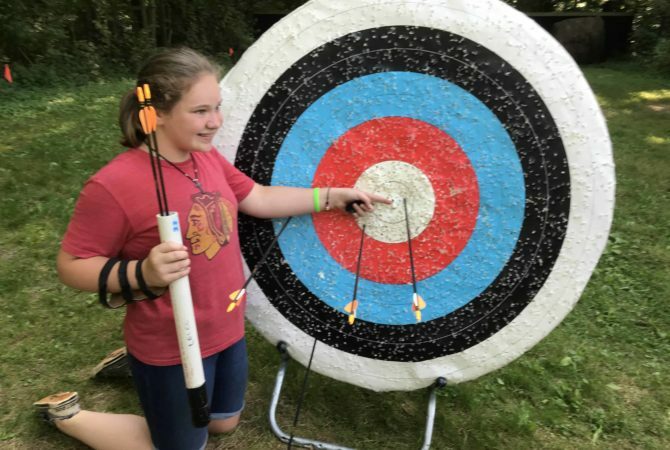 To achieve these goals we help the campers learn to be comfortable and independent outdoors, learn ecological and conservation principles, and use the outdoors as a resource for camp programs. The activities which have been offered in the past are outdoor cooking, bugs, birds and butterflies, outdoor discovery and exploring, weather, nature journaling, and nature potpourri. 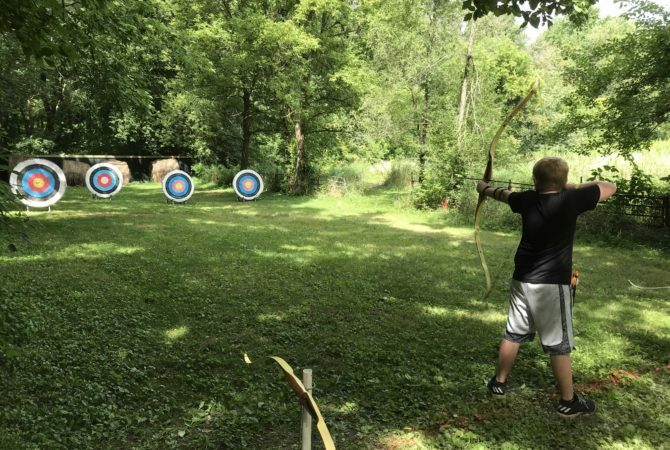 The archery program is designed to teach accuracy with the bow and arrow in a context where campers become concerned for safety and the welfare of others. 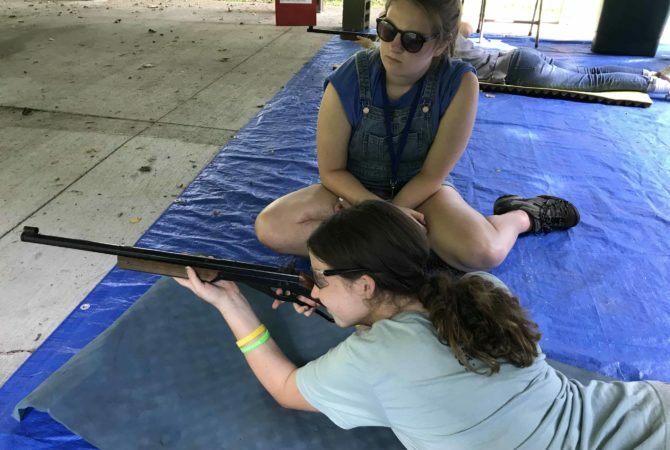 Campers will learn proper shooting techniques, proper equipment handling and care, and the principles behind the shooting process. Classes are offered in Beginners, Intermediate and Advanced levels. 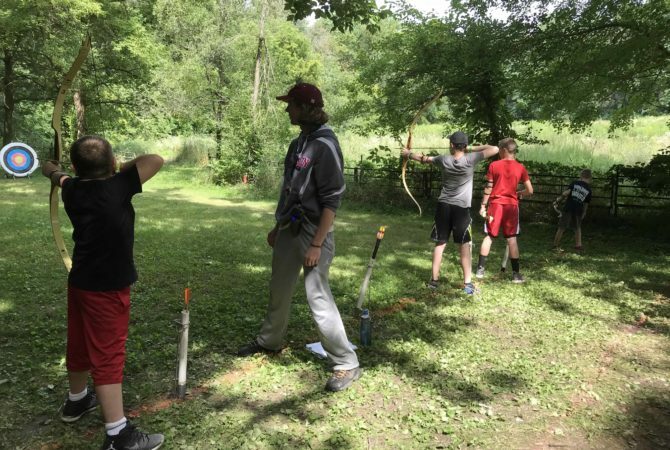 Archery is open to Trailblazer, Shikari, and Explorer campers. The air riflery program is designed to teach good shooting skills in an atmosphere that fosters diligence and careful attention to safety. 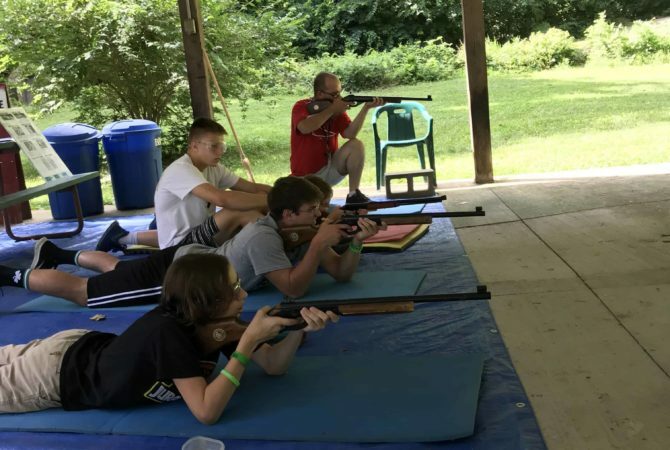 Campers will learn proper shooting techniques, proper gun handling and care, and the principles behind the shooting process. Beginners, Intermediate and Advanced levels are taught. 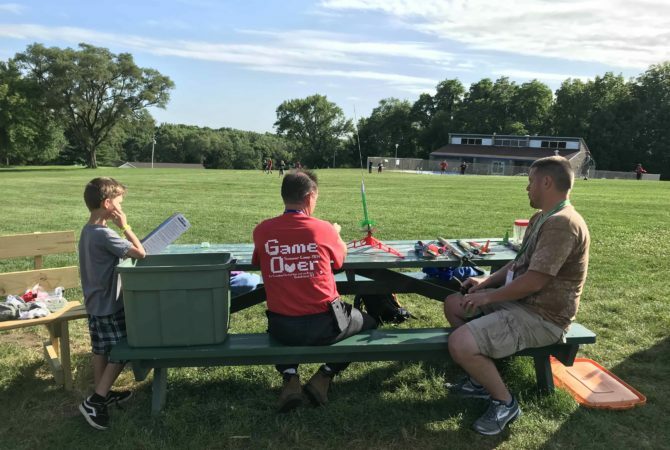 Riflery is open to Trailblazer, Shikari, and Explorer campers. 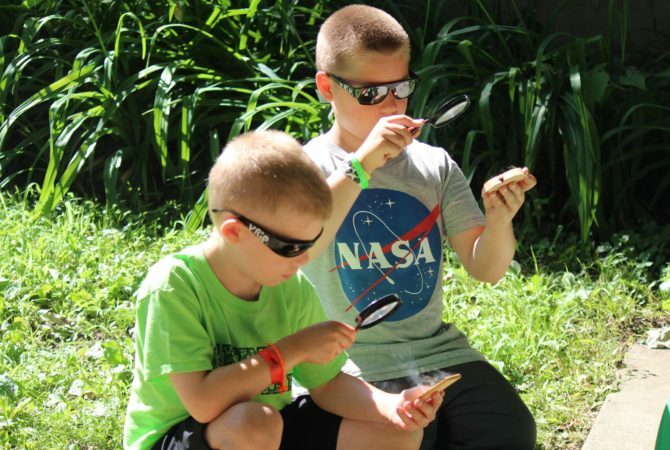 Campcraft is designed to create experiences where campers can know God better by living in, learning about, and being responsible for His creation. Time is spent on how to use basic tools to camp in the out-of-doors and to carefully perform basic campcraft skills in woodcraft, fire-building, orienteering and trail laying, safety, tent pitching, and knot tying. This is a fun activity which consists of playing lots of games outdoors and learning new games and skills. Games played in the past have been volleyball, relay games, Frisbee golf, water games and croquet. Hiking class is designed to foster physical stamina, safe hiking and backpacking skills, and appreciation of God’s outdoors. Campers will understand the basic preparation, equipment, safety concerns, and procedures needed in hiking. 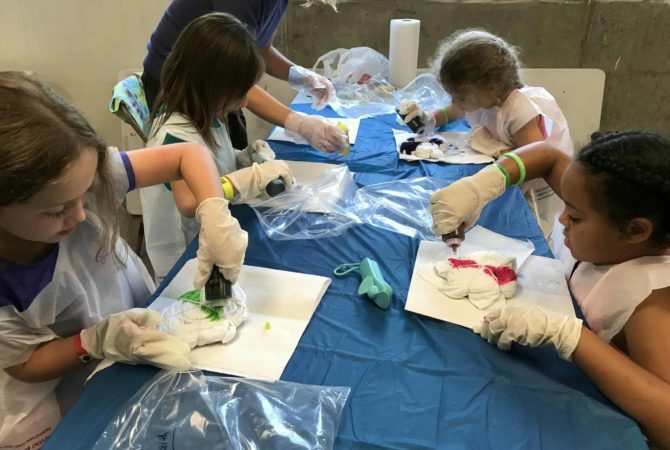 The creative arts activities are designed to help campers express themselves creatively. 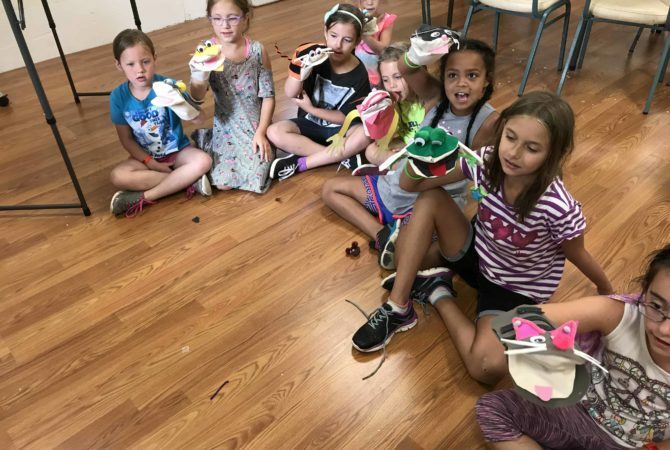 As campers gain new skill in classes such as music, drama, writing (newspaper), and puppetry, they also are working together as a team – often to present a creative project to the camp. Kids love to make things. It is our desire to foster creativity and teach new skills with different craft mediums. 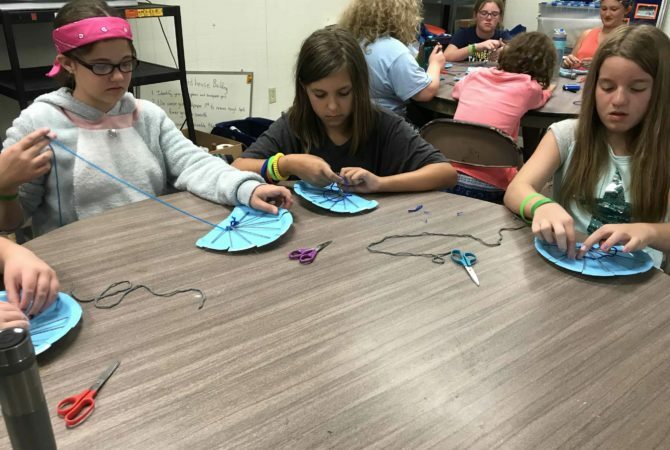 Leaders help campers develop skills in the use of materials, color, and design. 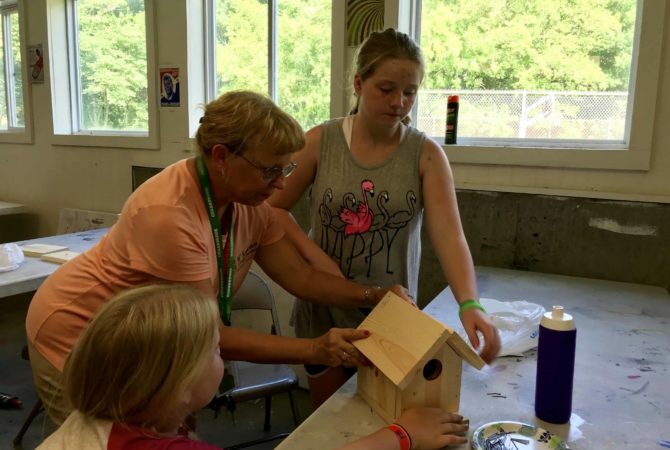 The results are finished projects and crafting skills that campers are proud to take home. There is no extra cost for crafts unless so noted at registration. Charges will be minimal. Some of the crafts offered previously have been basketry, woodworking, weaving, paper making, nature craft, sketching/painting, and pottery.